How to update to 3.8.1? No action anything..? Is there a button I should see? How do I get Alfred to download this update? I attach a screenshot, sorry for the unsharp fuzz. Is there a button I should see? You can grab the latest release from the official website instead. 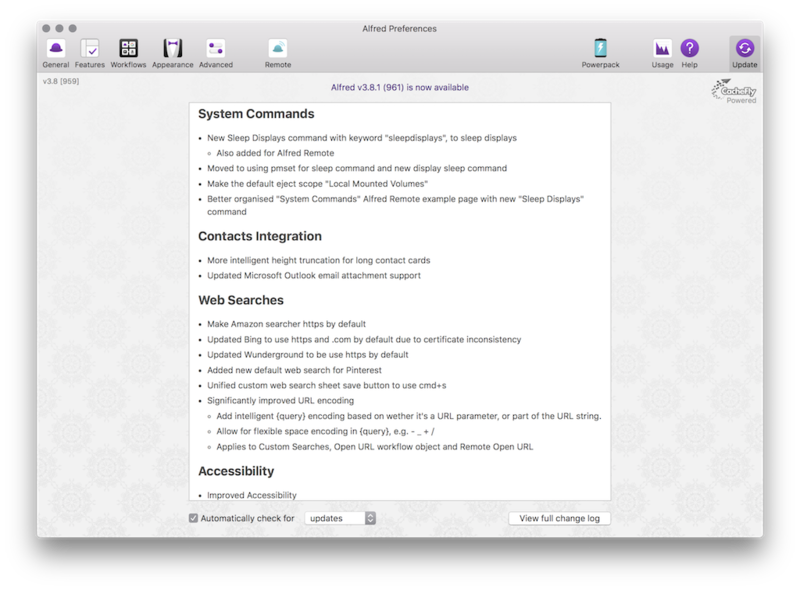 That’s the old Alfred application you want to replace. Don’t worry, all your settings are stored elsewhere and won’t be touched.